The cancellation was made following his successful fundraising from his supporters abroad; however, Rainsy accused the Premier of changing terms of bet that he cancelled the bet. “The bet between Sam Rainsy and Hun Sen about the release of Kem Sokha ended because Hun Sen changed its terms,” Rainsy wrote on his Facebook. “Hun Sen originally said that Kem Sokha would never be released. He later backtracked and said that Kem Sokha would never be released without a royal pardon,” Rainsy continued. The Ministry of Justice issued a statement on 11 November 2018 to clarify Sam Rainsy’s statement on Kem Sokha’s release. The ministry has considered Rainsy lacks of judicial understanding. (1) The accused Kem Sokha was allegedly charged with conspiring with foreigners, a violation of Cambodian criminal code, which is subjected to 15-30 years imprisonment. (2) Kem Sokha was temporarily detained on 5 September 2017, and was released on bail and put under judicial control on 9 September 2018. According to the criminal procedure of the Kingdom of Cambodia, the detention ordered by investigating judge on criminal offense can last up to six months and can be extended to another six months twice. 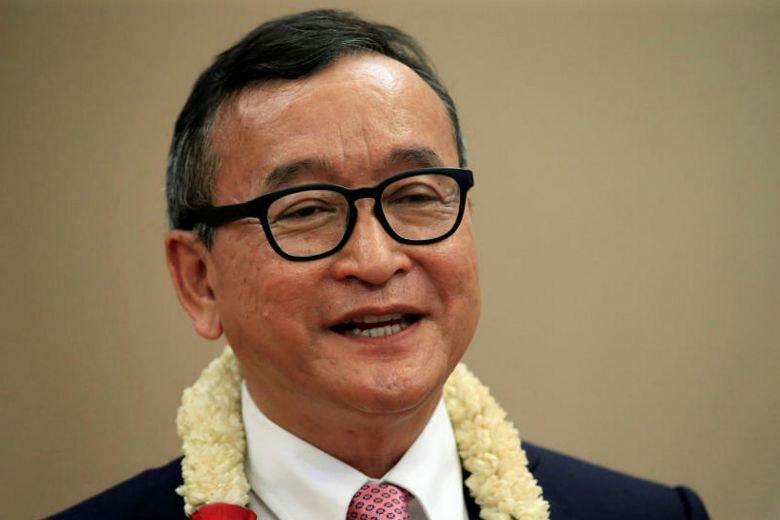 The fact that Sam Rainsy stated the pre-trail detention will end no later than 3 March 2019 is a claim lacks of legal understanding and court procedures. Sam Rainsy should know that Kem Sokha was put under judicial control and that it is not under the framework of pre-trial detention which lasts up to 18 months maximum. The fact that Sam Rainsy stated the pre-trial detention in France can be no longer than two days is a “lie”; a convict Sam Rainsy who has French nationality does not even know the French law. (3) Criminal offense of the accused Kem Sokha is under the jurisdiction of the Phnom Penh Municipal Court’s investigating judge. The judge shall decide upon this case in accordance to its independent discretion based on the case, evidences, and laws of the Kingdom of Cambodia, and without any pressures from any foreigners or any individuals. Sok Sokun a.k.a James Sok, an independent analyst based in the United States, commented on his recent video, expressing his deepest condolences for Cambodians in United States for financially contributing to the opposition party hoping in return to get a good position in the party or government when the opposition wins the election. 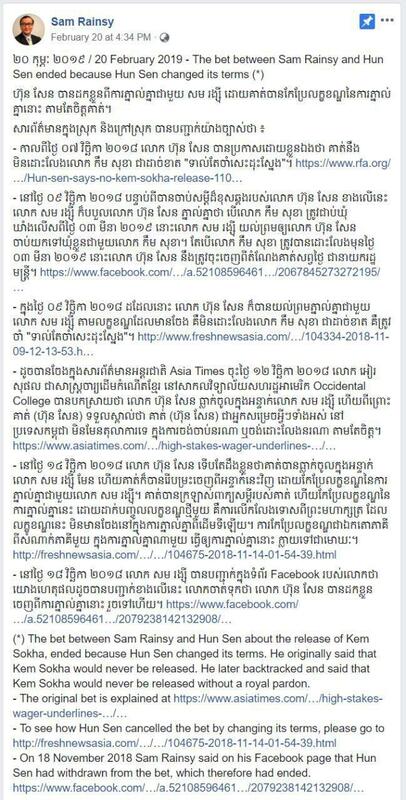 “It’s not easy like what you [Cambodians who trust Rainsy’s propaganda] thought,” he advised the supporters of CNRP.